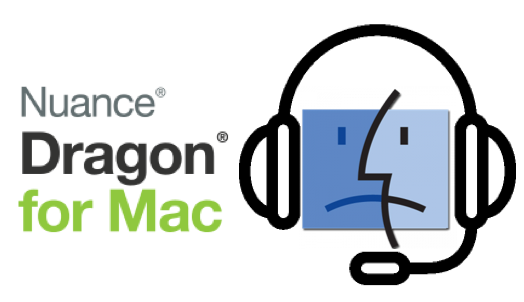 In what we thought was a surprise move Nuance announced this week that it will be canning its macOS voice recognition software Dragon for Mac. It was a surprise to us as the latest version Dragon for Mac v6 was finally at a good state with really good live voice recognition and just a good voice-to-text from a recording in Transcription mode. In their announcement on the Nuance website, no reason was given for the end to development. Dictate Australia as a company have been involved in the Dragon for Mac world since the very beginning when at v1 it was called Scribe from a company called MacSpeech. They were taken over by Dragon back in 2010 and Dragon on Mac under Nuance’s guidance was released as v2. The fact that it has taken ten years to get to v6 may be an indicator or how hard it is to develop speech to text on the macOS platform or maybe Apple has something up its sleeve? Apple have had voice-to-text built into macOS for a few years now although it too seems to have stagnated. There were rumours a few years ago of Apple either buying Nuance or the software behind Dragon, perhaps this is what we will see in the near future an Apple announcement around voice to text. 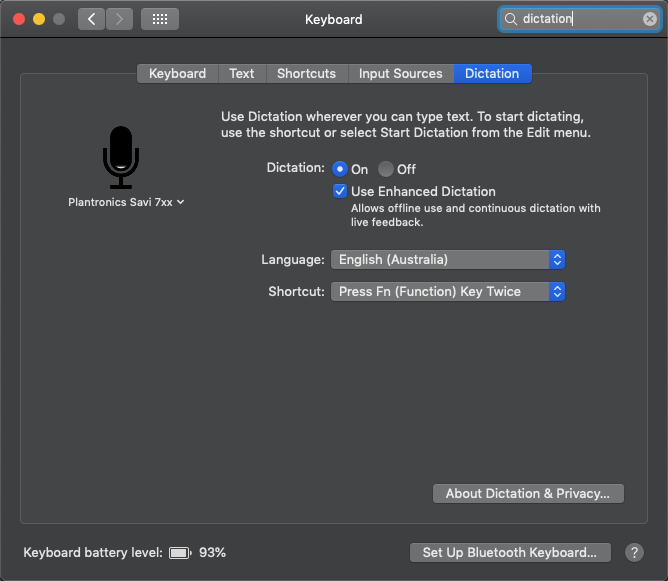 In the meantime, if you have not seen or tried macOS Dictation give it a try, just enable it via System Preferences -> Keyboard -> Dictation – you can use an external mic (e.g. USB headset or AirPods) or the built-in mic in your MacBook or iMac. This is highly disappointing. Any and all alternatives available? Alternatives are the built-in Dictation in macOS which is poor in comparison. I still think we will see something from Apple in the future using some of the Nuance Dragon engine technology. I have used and sold Dragon on Windows for ages and it is fantastic, but I purchased Dragon for Mac around a year ago and found it hopeless. So bad I couldn’t charge for it.Yet I set up the inbuilt Dictation for a different client recently and it was terrific. I must be missing something in the Dragon on Mac if others find it so good.